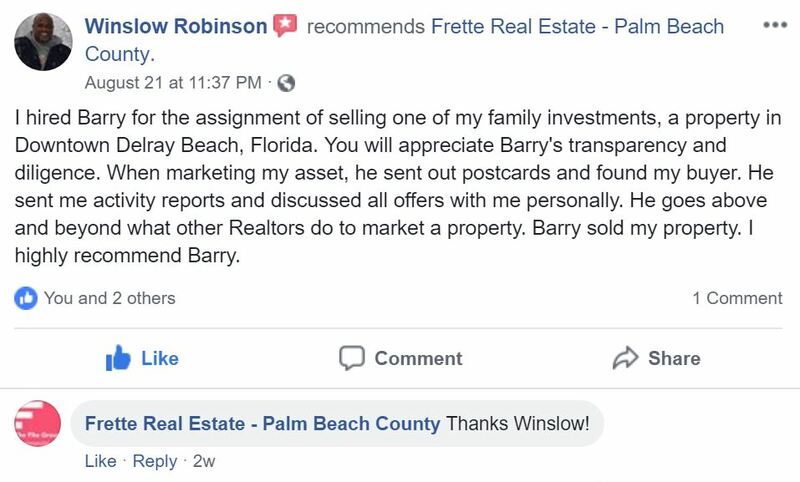 I hired Barry for the assignment of selling one of my family investments, a property in Downtown Delray Beach, Florida. You will appreciate Barry's transparency and diligence. When marketing my asset, he sent out postcards and found my buyer. He sent me activity reports and discussed all offers with me personally. 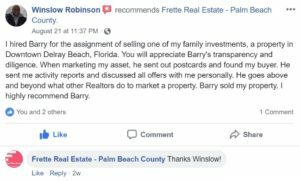 He goes above and beyond what other Realtors do to market a property. Barry sold my property. I highly recommend Barry. 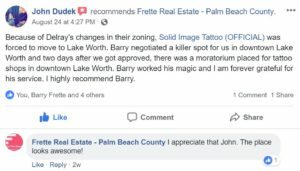 Because of Delray's changes in their zoning, Solid Image Tattoo (OFFICIAL) was forced to move to Lake Worth. 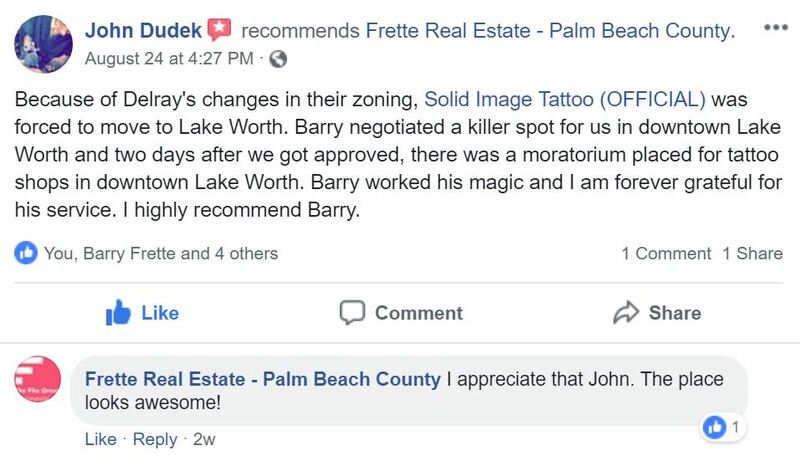 Barry negotiated a killer spot for us in downtown Lake Worth and two days after we got approved, there was a moratorium placed for tattoo shops in downtown Lake Worth. Barry worked his magic and I am forever grateful for his service. I highly recommend Barry. Barry is the ultimate professional. Super attentive. He has helped my wife and I find two commercial spaces in Delray. Thank you Barry!